MD-3080A underwater metal detector has aluminum shell, it also can be used on the ground for metal material, with its special double impermeable designed case, and all parts of MD-3080A can be used underwater to 40 meters safely. It is the best tool for underwater treasure hunting. When MD-3080A detects metal targets, red light is on and alarm is ringing. 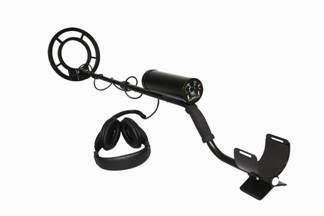 It has full range metal detecting function and it also has the function of eliminate ferrous metals. Used in the public security field, it can be used for underwater material detecting.